The Cuban Ministry of Foreign Affairs released a statement on the situation of 75 Cubans that were deported from Ecuador in the last three days. On July 9 and 11, two groups of Cubans, 29 and 46, respectively, were deported to Cuba from Ecuador, where they were illegally. They were transported to Cuba in a plane belonging to the Ecuadorian Air Force, respecting the procedure guarantees established for these cases. Upon their arrival at the Jose Marti International Airport, Cuban authorities performed on them the standard international sanitary control and they were taken to their respective provinces. The deportation of these Cuban citizens was conducted in strict compliance with the provisions of the legislation of both countries and existing international standards for this type of situation, with the primary aim of ensuring an orderly, regular and safe migration flow, while reflects the commitment to prevent defenseless human beings becoming victims of human traffickers. It is the responsibility of the government of the United States and its immigration policy, made in recent decades, the situation created with Cuban irregular migrants in the region, who initially traveled abroad legally, meeting all the requirements of our immigration regulations, to subsequently initiate an irregular journey encouraged by the policy of "dry foot- wet foot" policy, the "Program Parole for Cuban medical professionals" and the Cuban Adjustment Act, which give our citizens a selective and unique treatment throughout the world, while constituting a violation of the migratory agreements signed between the two countries. This policy is inconsistent with the current bilateral context, prevents the normalization of migratory relations between Cuba and the US and creates problems for other countries, while the rest discriminates migrants, including minors, who at the border of the United States suffer abuse and repression before being deported en masse. 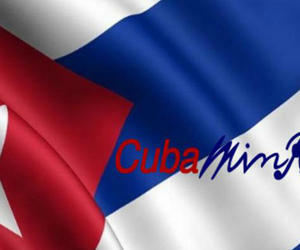 The Bureau of Consular Affairs and Cuban Residents Abroad confirms that Cuban citizens who have left the country legally and comply with existing immigration legislation have the right to return to Cuba, while reaffirming the commitment of his government with a legal, safe and orderly emigration.